Legend Comics and Coffee will be hosting National Poetry Slam champion, Sam Cook, for a writing workshop and poetry reading. The workshop will run from 4:30 until 6:00pm, while the reading is scheduled for 7:00-8:00pm. The event is sponsored by the Nebraska Writers Collective through the Louder than a Bob Omaha Youth Poetry Festival. 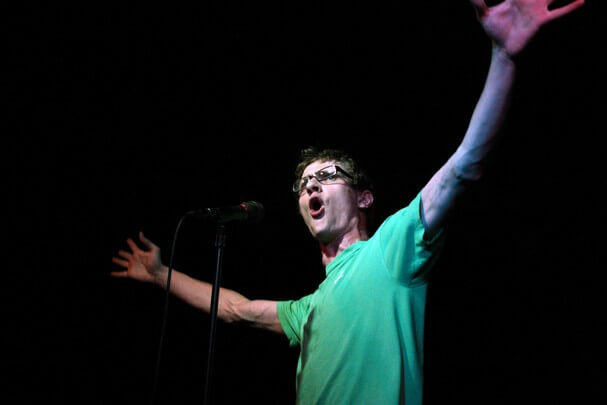 Cook is also a co-founder of Button Poetry, the director of the two-time national champion St. Paul Soapboxing poetry slam team, and has coached of the University of Minnesota and Macalester College slam teams to numerous Finals Stage awards over the past three years. All ages are welcome to attend and the event is free and open to the public.